In this project, we propose a novel stereo visual odometry approach, which is especially suited for poorly textured environments. We use a novel, fast line segment detector and matcher, which detects vertical lines supported by an IMU. 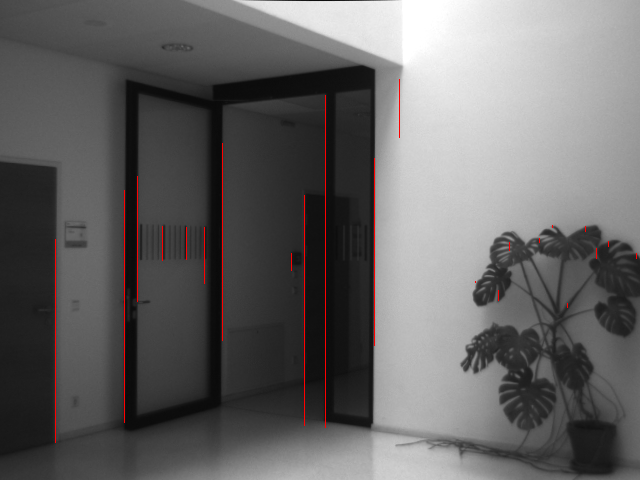 Inspired by currently popular direct pose estimation algorithms, the patches around lines are used to directly estimate the pose of consecutive cameras by minimizing the photometric error. Our algorithm outperforms state-of-the-art approaches in challenging environments and our implementation runs in real-time and is therefore well suited for various robotics and augmented reality applications. Holzmann, T., Fraundorfer, F., Bischof, H.